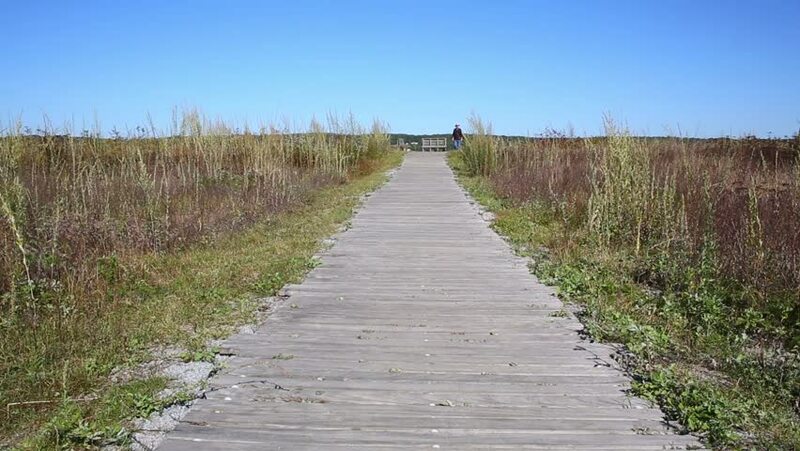 A man walking forward on a wood boardwalk at Sandy Point Beach in Stockton Springs, Maine. hd00:15Video of the wood boardwalk leading from the parking area at Sandy Point in Stockton Springs Maine to the beach. hd00:16Meadow Trail in High Fens – Eifel Nature Park (Belgium).